The 2019 Hockey Alberta Foundati on Golf Classic will be held July 22 and 23 in Canmore. 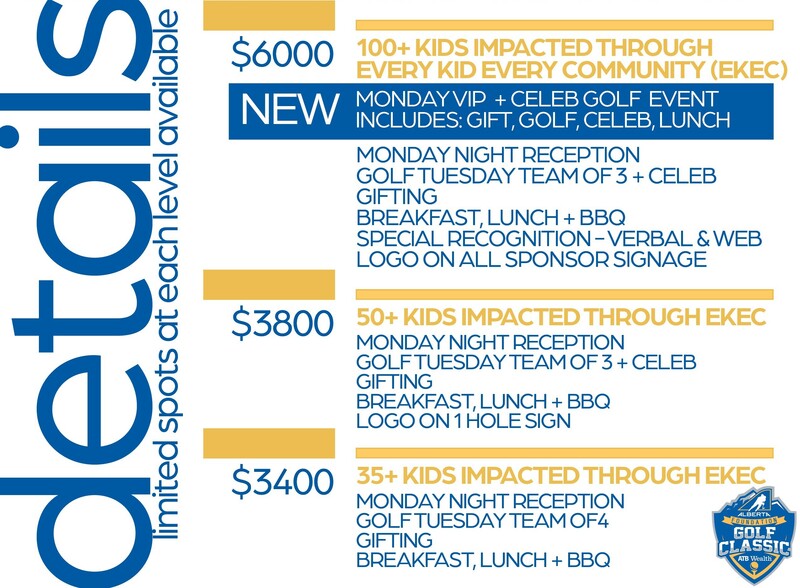 10:00 a.m. Breakfast, beverages, special gift and gold at Stewart Creek Golf Club with one of our celebrity golfers. Accommodations have been secured at the Grande Rockies Resort (condo style) and the Coast Hotel (standard room). Limited rooms at both are available. Should you require accommodations rooms MUST be booked through Danielle Kraichy - 403-967-0064 or dkraichy@hockeyalberta.ca. 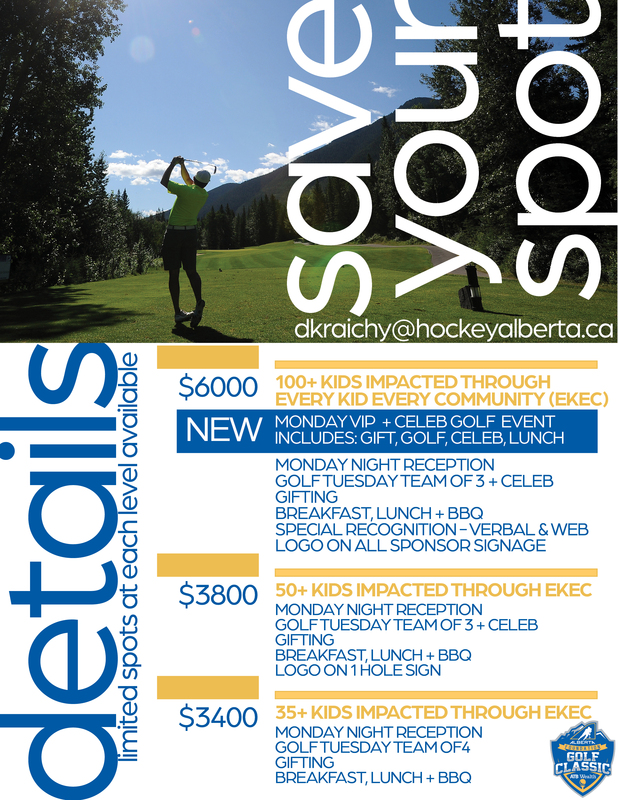 The Hockey Alberta Foundation Golf Classic is a fundraising golf tournament in support of Every Kid Every Community. The annual event has made its home in beautiful Canmore at the end of July each year. The tournament kicks off with an evening reception in support of Every Kid Every Community with cocktails, hors d’oeuvres, silent and live auction and entertainment. The tournament begins the following day and includes a first tee gift, breakfast, lunch, and BBQ dinner, plenty of hole competitions and team prizes, including ’most honest’. Past celebrity golfers in attendance included: Mark Giordano, Josh Morrissey, Glen Sather, Mike Commodore, Adam Cracknell, Mel Davidson, Curtis Glencross, Sheldon Kennedy, Cale Makar, Colton Parayko, Perry Pearn, Jay Onrait, Dan O’Toole and many more! All proceeds raised from the event through sponsorship, donations, live and silent auction revenue go to the Every Kid Every Community Program - a program that sees grant funding assist groups and individuals in communities across the province continue to foster growth and development in our game.